I think the kitchen is stunning! 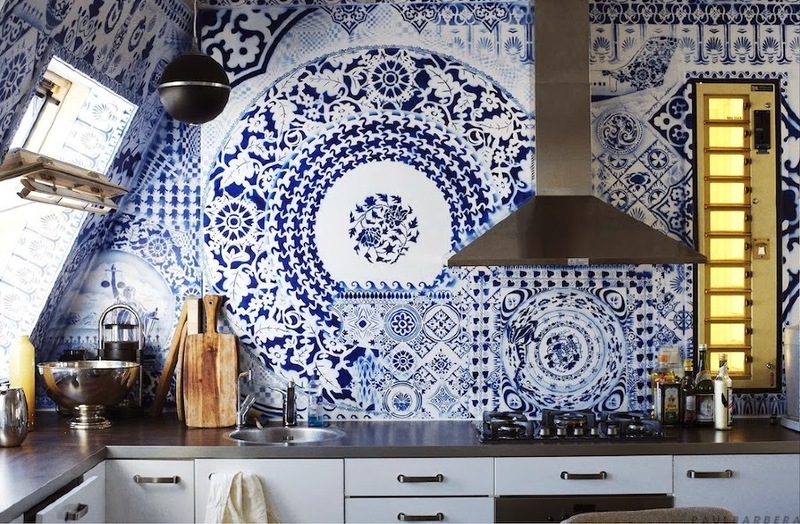 The combination of basic white kitchen cabinets and the crazy pattern inspired with portugeese azulejos (or maybe with Delftware? in the end it was Delftware that had inspired azulejos...) is fan-tas-tic. I could have a combination like this in my kitchen - though I would probably use the tiles on the floor.